1 Pete Lawrence, 04/20 The 2018 offensive rookie of the year and a true �generational� talent. 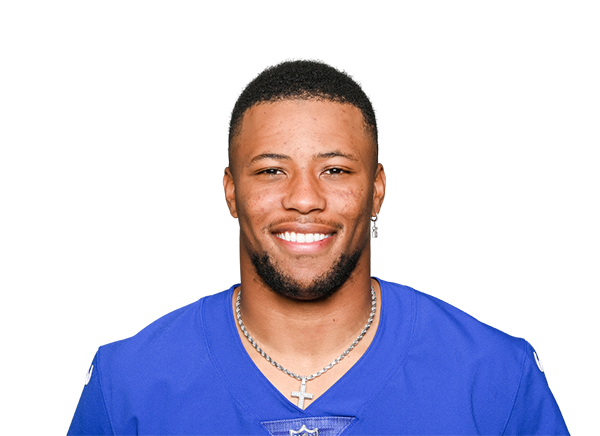 1 Jake Anderson, 03/18 It's hard to argue that Saquon isn't the best player in the league right now. He's most likely going to be the consensus 1.01 of dynasty startups this off season. 1 Rob Willette, 04/14 I believe him to already be the best RB in football, and his unique ability as a receiver gives him an incredibly high annual floor. If the Giants can find a QB and continue to build their O-Line, we could see some truly special seasons from Barkley. 1 Joseph Nammour, 04/17 Clear cut RB1. 1 Bruce Matson, 04/18 He's the 1.1 hands down for me in startup drafts.